Keyword Juicer is a software product that CopyPress has developed to meet a critical need for content marketers. Traditionally, ROI analysis has been based on linear keyword data, which fails to provide a complete, well-rounded picture. Determining the global monthly visitors for a single term allows other similar terms to fall through the cracks, though these can contribute to a valuable bucket of relevant search terms. 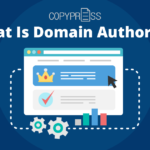 Unfortunately, as an individual or team, it’s impossible to perform the millions or billions of comparisons necessary to identify valuable similarities across keyword sets. This is where Keyword Juicer comes in. 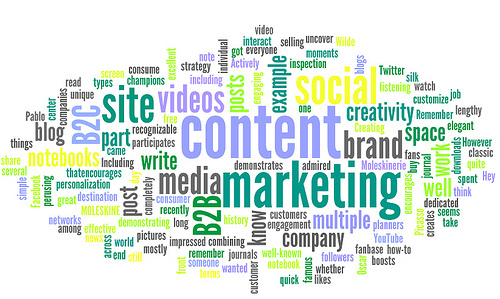 Keyword Juicer helps you optimize the content marketing opportunities available for keyword clouds. This tool provides a full bucketed picture of search volume potential, backed by actionable insights that can drive your content marketing to new heights. 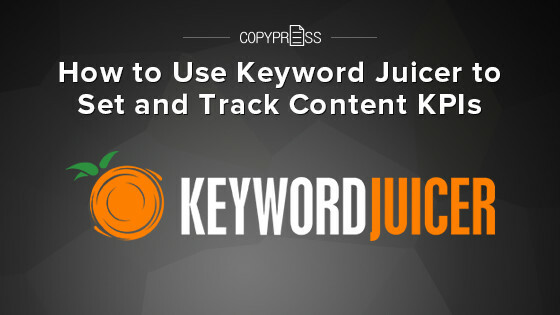 Use Keyword Juicer to set and track content KPIs for outstanding results. Determine which KPIs need the most attention with a comprehensive analysis of your site’s current keywords and performance. Evaluate your domain with Keyword Juicer to see how many keywords are available at your domain level and generate buckets of relevant keywords building off what currently exists on your site. Keyword Juicer will show you how you’re currently performing for your targeted keywords, displaying the percentage of search engine traffic you’ve captured for these. It will also show you if your site ranks on Google for the keyword. Gathering this information upfront will help you monitor your progress with KPIs like traffic volume as you proceed to work with Keyword Juicer to enhance your content marketing strategy. Once you’ve identified the keywords that you want to focus on for your KPIs, you can use Keyword Juicer to delve deeper into the best ways to optimize your site for traffic focused on these topics. Keyword Juicer uses machine learning similar to that utilized by Netflix. It produces buckets of related keywords that rank for the same top sites. Terms that are not related to your original keyword don’t have a direct correlation to the topic at hand but do see correlations in traffic. Reviewing these terms can give you insights into new seeds that you might plant to increase your page’s ranking. Keywords that perform below your threshold are unbucketed, but you can sort through these, as well. Keyword Juicer gives you the ability to create your own custom buckets. You may choose a handful of unbucketed terms for your own handpicked buckets that focus on topics relevant to your KPIs. The insightful keyword buckets produced by Keyword Juicer are highly actionable. 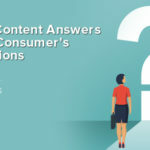 Once you’ve evaluated the information presented in your project results, you’ll have a wealth of valuable information in hand to guide the next steps in your content marketing efforts. Keyword Juicer identifies the top-performing sites for your chosen keywords and related keyword buckets, so you can perform a competitive analysis and see what these companies are doing differently. Keyword Juicer will help you evaluate your known competitors in greater depth, revealing terms and phrases that are producing high SERPs for these sites. This tool can also help you identify new competitors that you may have overlooked previously when you were taking a more limited and linear approach to your keyword research. Return on investment is a key performance indicator that you need to be aware of when you’re developing marketing campaigns. Keyword Juicer helps you put a clear monetary value on your efforts, so you can make a strong case for your campaign plans to customers, stakeholders, and others. For each keyword bucket, Keyword Juicer provides the total traffic volume and total value. Using this data, you can easily estimate what even a small percentage of traffic is worth for a particular keyword. Perhaps you’re targeting a keyword bucket with a volume of 5,800 and a value of $635,000. Capturing even one percent of the total traffic for this bucket is worth $6,350. Before you invest that amount in paid advertising, consider the potential alternatives with a targeted content marketing campaign. 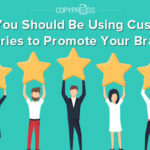 If you spend $300 producing targeted content that utilizes this keyword bucket and garners the same attention, you’re working with an extremely valuable campaign strategy. Keyword Juicer’s buckets help you identify areas where SERPs overlap. You can then efficiently target multiple keywords that you might have previously seen as unrelated. 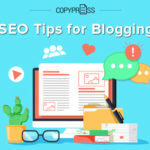 By utilizing the right combination of keywords in your content creation, you can cash in on these overlapping areas and produce fresh content that will dominate multiple SERPs effectively. Keyword Juicer also provides Readable.io scores for the top 10 URLs for your keyword buckets. You can use this information to gauge what level of content your target audience is looking for. 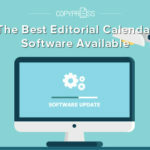 This will help you develop a data-driven style guide for your content that will give you a competitive edge in your field. As you progress with your campaigns, Keyword Juicer will track your success, carefully monitoring the key metrics for your KPIs. Evaluating your own domain first gives you a solid baseline from which to judge all future progress. With this information in hand, you can clearly see where your keyword buckets are producing your desired results. Keyword Juicer makes it possible to identify both high-value keywords that you’re not optimizing and low-value areas where you have a strong presence, so you can craft a customized campaign that’s laser-focused on the KPIs most important to you. Keyword Juicer will help you plan your strategy and measure value. With this tool, you can plan earned media campaigns, track value gains, and more. With an unlimited number of collaborators supported for each account, you can implement Keyword Juicer as the centerpiece of your department’s next content marketing campaign.